Elate Cosmetics is an award winning conscious beauty company. Our mission is to care for each other, our communities, and our world. We create safe effective beauty products for everyone using healthy ingredients, ethical marketing and sustainable practices. Our goal is to be the worlds first waste free cosmetics company, and provide the best customer experience possible. With integrity and kindness we strive for balance and aim to define the future of beauty, and help our community save the planet. 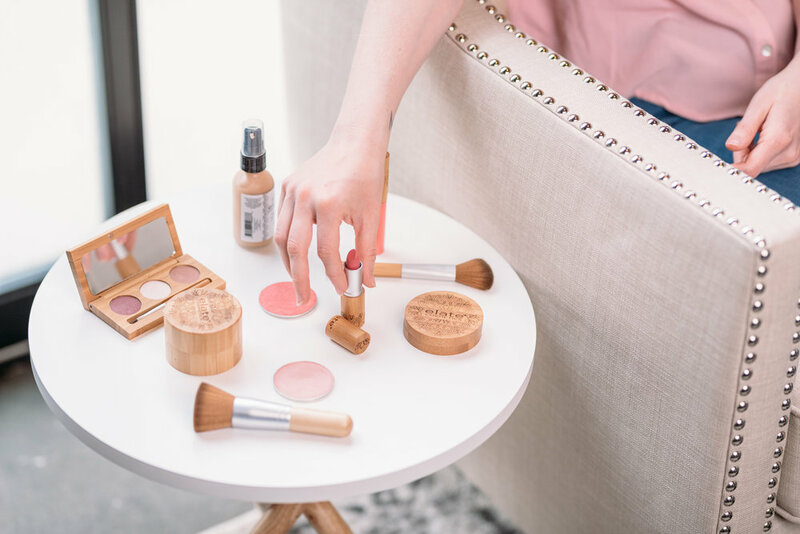 At Elate Cosmetics we want to empower all women to make healthy choices and use the best possible products for their daily ritual. Products that don’t compromise the health of any person, animal or the planet. Short term - reach 250 retail partners around the world. Long term - develop completely waste free packaging system for cosmetics, that I can share with other companies. I am truly passionate about what I do, and about using my business as a platform for good. and to change mindsets. That being said, I think nothing amazing ever came without a bit of sacrifice. I definitely have less time with my friends then I did before, my order of importance is always: my family first, then my business, so my social life can sometimes get lost in the midst. I NEVER sacrifice my own self care....one can never fill others cups from an empty vessel, and a huge part of my job is guiding and other, so I must be able to do so. My greatest fear is that I will look back on my life and regret the things I did not do. I worry about the state of the world, and the legacy I am leaving my daughter. I manage this fear by showing up fully. Every day. My goals in business are the same as in life, live a happy and full life, be kind, do better every day. If we all did our best to reduce waste the planet we are leaving the next generations will be better, we just have to think forward. Elon Musk is definitely one of my heroes, not only because of his innovative approach to business, but specifically because he removed the ownership of all the patents Tesla owned in order to further the industry. That is right in line with my values - the idea that we are all working to make the world a better place, so let's do it together. Tesla Motors was created to accelerate the advent of sustainable transport. If we clear a path to the creation of compelling electric vehicles, but then lay intellectual property landmines behind us to inhibit others, we are acting in a manner contrary to that goal. Tesla will not initiate patent lawsuits against anyone who, in good faith, wants to use our technology."